1830 Indian Removal Act: Andrew Jackson was the 7th American President who served in office from March 4, 1829 to March 4, 1837. One of the important events during his presidency was the 1830 Indian Removal Act. Summary and definition: The 1830 Indian Removal Act was formally entitled "An Act to provide for an exchange of lands with the Indians residing in any of the states or territories, and for their removal west of the river Mississippi". This law, encouraged by President Jackson, was passed by Congress on 28 May 1830 was prompted by the desire to settle the land but was also due to the discovery of gold. The Indian Removal Act gave the federal government the power to force the relocation of any Native American Indians, living in the east of the country, to territory that was west of the Mississippi River. The 1830 Indian Removal Act led to the forced migration of approximately 60,000 Native Americans between 1830 to 1840, including the journey on the infamous Trail of Tears. The Indian Removal Act was urged by Andrew Jackson. He had fought and defeated the Creek Indians in 1814 during his military career and had led the Indian Removal Campaign helping to negotiate 11 Important treaties to remove Native American Indians from their lands. From a legal perspective the United States Constitution empowered Congress to "regulate commerce with foreign nations, and among the several States, and with the Indian tribes." 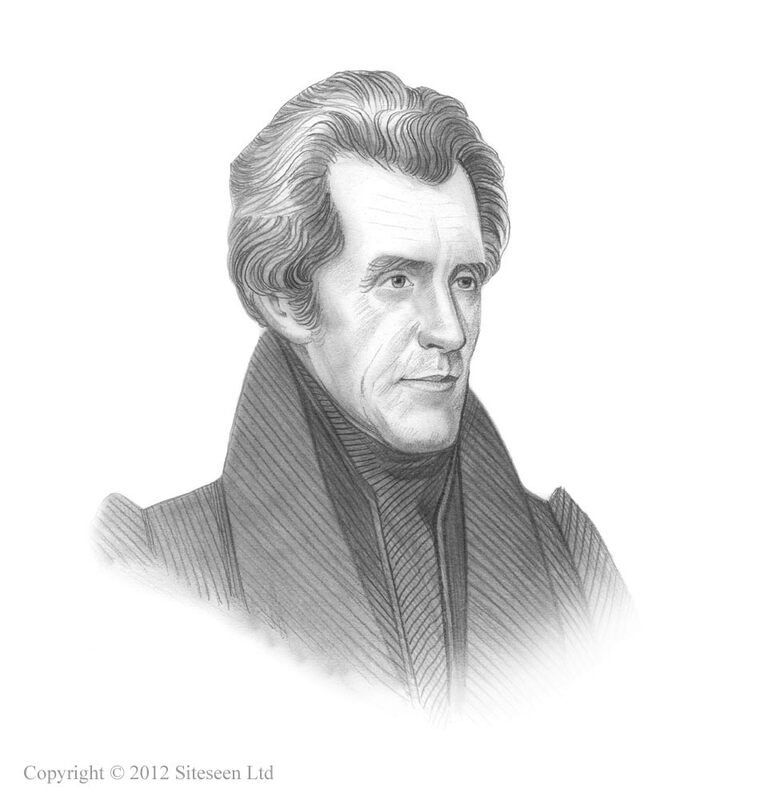 When Andrew Jackson became President he adopted a systematic approach to the removal of Native American Indians based on this legal precedent and quickly encouraged Congress to pass the 1830 Indian Removal Act. Why was the 1830 Indian Removal Act passed? The 1830 Indian Removal Act was passed as a popular law for the voters who were looking for relocation to rich farmlands in the Southern United States to grow fruit and cotton. Native Indian lands were required for transportation routes for settlers and new lands were required to open new economic opportunities and development. The discovery of gold in Georgia in 1828 led to more aggressive demands for the speedy removal of Native American Indians. The target was the lands inhabited by the Five Civilized Tribes. The Five Civilized Tribes consisted of the Cherokee, Creek, Choctaw, Seminole and Chickasaw Native Indians. What was the purpose of the 1830 Indian Removal Act? The purpose of the 1830 Indian Removal Act was to relocate Native American Indians, especially Southern tribes, from land east of the Mississippi by granting them land west of the Mississippi. The legislation was fiercely contested in Congress and it narrowly passed. What did the 1830 Indian Removal Act do? What was the Effect of the 1830 Indian Removal Act? What was the Significance of the 1830 Indian Removal Act?